Category: Kutch Collection. Tags: hand embroidered cushion cover, India, Kutch embroidery, New. 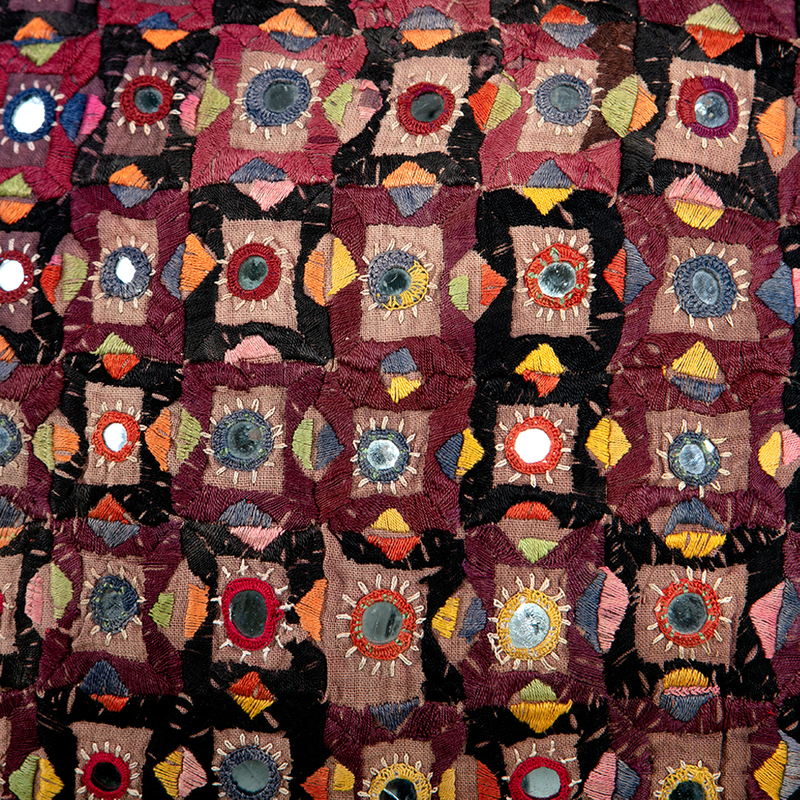 One-of-a-kind cover featuring vintage geometric Kutch embroidery and mirror-work on slate grey French linen. Scroll over the images to see the Kutch embroidery in more detail. The vintage embroidery on this cushion cover was originally a small folded bag. The geometric pattern in muted shades featuring tiny pieces of mirrored glass, works well in a modern or rustic home. Slate grey French linen with a zip fastening at the bottom. 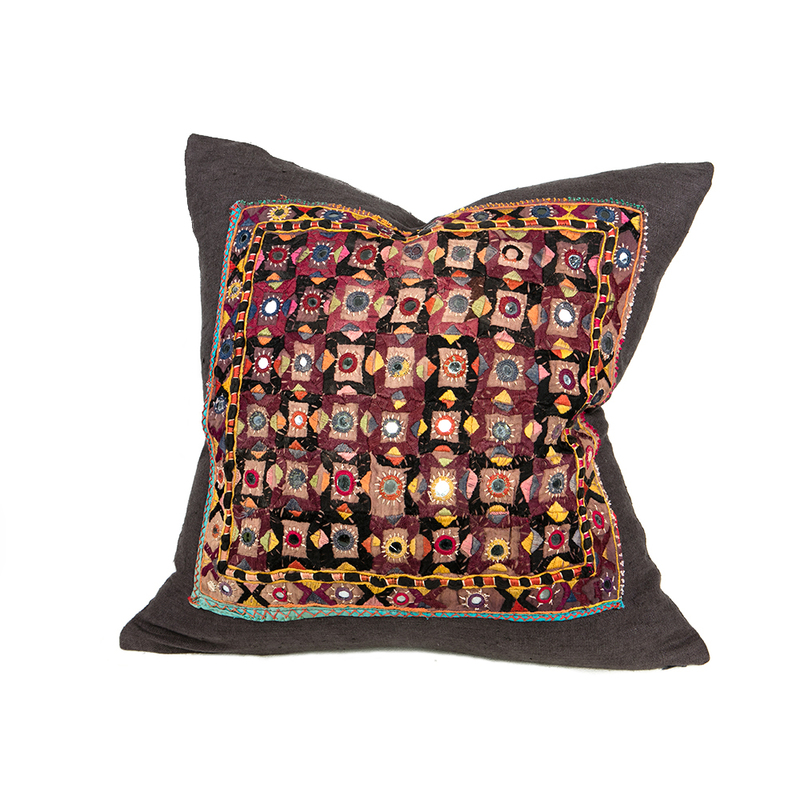 Please note that this cushion is made from vintage, hand embroidered, fabric so there may be patches and imperfections but we think this adds to its charm. It also contains tiny pieces of mirrored glass so is not suitable for children’s rooms.